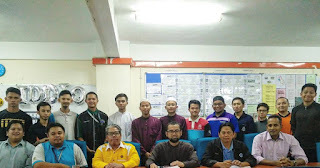 Last 1 February, Bukhari bin Isahak, once he took from me the office of President of IIUM as-Siddiq College, called his College to bring more betterment to Usrah Mahallah. “Tell the University that we can make Usrah Mahallah better than before,” Bukhari said. He repeated the same call before the University Nuqaba’ Council, almost three weeks later. Therefore, it is not a mere call. It is a call to the University people for a better Islamisation at IIUM and its residential colleges.